In the process of coping with the stress of attaining success, most entrepreneurs and corporate employees forget to pay heed to their nutrition. 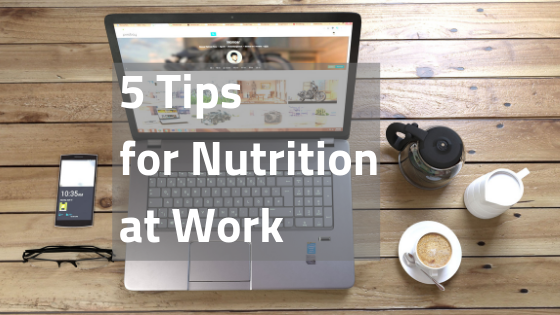 When nutrition is not addressed correctly, it leads to a range of health problems which ultimately affects the performance at work. Entrepreneurs/corporate employees have several situations to deal with within a short duration of time and good nutrition plan should not be cumbersome to follow. With good nutrition comes selection of the right foods and maintaining a reasonable (2 to 3 hours) time gap between meals. By doing this, you ensure that your body has adequate nutrition throughout the day to keep you alert and well focused on your tasks. Small frequent meals also ensure that your metabolism is improved to ensure better utilization of the food you eat. Small meals at 11 am and 4 pm: Dry fruits and nuts like almonds, figs, dates, walnuts, apricots and raisins and fresh fruits are good snack options between meals. These have a high fibre, vitamin and mineral content which increase satiety and also help replenish your micro-nutrient stores. Lunch, Dinner and Snack: Portion size is another area of concern. Contrary to the “eat three large meals a day” idea, it is better to split up these large meals into smaller ones through the day. Controlling your portions for breakfast, lunch and dinner will not be too difficult if you a snacking healthy at regular intervals. What foods should you choose? Fruits like apple, lemon, lime, orange, pineapple, strawberry, watermelon, plums, kiwi, papaya, peaches, pears, pomegranate and strawberries are known as negative calorie foods and help in burning some of those extra calories. Likewise, drinking green tea three to four times a day will help speed up your metabolism and burn a few extra calories. Exercise is also plays a key role in maintaining good health. Agreed, entrepreneurs are extremely busy individuals and including at least an hour of exercise throughout the day will be extremely beneficial. This can be broken down into smaller exercise slots of 30 minutes twice a day to obtain the same benefits of an hour of exercise.